WITH Christmas around the corner The Irish Post has compiled a list of the year’s top 10 must-read books. This selection features some of the finest Irish writers alive today - including major award winning novels - and will make a perfect gift for a bookworm close to you! THERE can be no doubting Dubliner Colum McCann’s ambition. Following the break-out success of his Man Booker Prize nominated novel, Let the Great World Spin, McCann returns with a sprawling work that takes as its subject matter the complex history between Ireland and America. This wide-ranging novel opens in 1919 with a reconstruction of Brown and Alcock’s attempt to fly the Atlantic non-stop. From this point we go back to an Ireland ravaged by the Great Famine, the Abolitionist movement and through the American Civil War. Resonances to today are made through the financial crash of 1929, the Good Friday Agreement and the taming of the Celtic Tiger. TransAtlantic could go on forever touching on the vast subjects that it does, but McCann proves a deft hand at pressing ‘pause’ on his story at the right moment and allowing the reader’s own thoughts to flow within. A novel that will stay with you long after it’s put down. ARGUABLY Ireland’s most famous chefs, Darina Allen has partly ensured that millions of Irish meals each year don’t taste like muck. The household chef’s recipes are the secret weapon when it comes to hosting a dinner party, with very few Irish homes without an Allen cookbook. 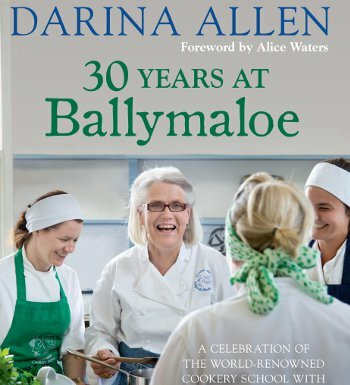 The famous chef also runs Ballymaloe Cookery School in Co. Cork and this book, which contains 100 recipes, chronicles how the school has led the way with food trends in Ireland since 1983. Allen was one of the original TV chefs and has been credited with working at the forefront of Slow Food cooking movements as well as the shift towards using local, seasonal and fresh produce. There are so many fine recipes in here that, should you implement them, you’ll dine fine in 2014. IF THIS title doesn’t prick the ears of the teenagers in your family, then it’s hard to know what will. Lusk-born Derek Landy has been something of a publishing phenomenon, with his Skulduggery Pleasant novels selling in their truckloads. Now on his eighth installment in his comedy-horror adventure series, this latest book follows on from last year’s number-one bestseller, Kingdom of the Wicked. The tale opens with the Irish Sanctuary crumbling on the brink of world-ending disaster, which has caused disillusionment with other Sanctuary ranks around the world. The book’s central characters, Skulduggery and Valkyri must team up with the rest of the Dead Men to maintaining the balance of power as they try to get to the root of a vast conspiracy that has been years in the making. Sounds like a nice light read for the kids at Christmas! BEST known as a playwright, Frank McGuinness has turned his hand to novel writing with sublime effect on this, his first novel. Here McGuinness demonstrates great ability to create characters with a depth not often found in the contemporary novel. 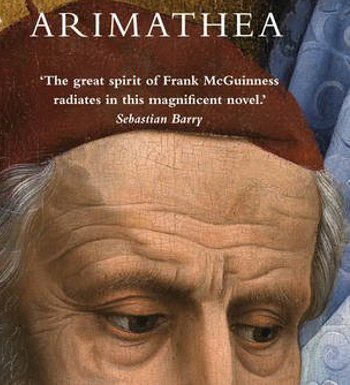 Arimathea tells of a young Italian painter, Gianni, who comes to a small town in Co Donegal in the late 1940s to paint the Stations of the Cross. The local priest, Father O’Hagan, enlists the help of some natives to host the new arrival. Drama and humour is created through the individuals’ telling of each of their stories. Religious undertones and themes of suffering run through the book as the Stations of the Cross plot the Passion Story from when Jesus first receives his sentence, the journey to the crucifixion and finally his burial in a twist which comes in the final section of the novel. HAVING reformed for a number of well-received Irish dates recently, interest in 1970s Celtic rock band Horslips has been renewed. By the looks of it, it certainly never quelled in author Mark Cunningham who has put together a well-researched book that should cover all the basis for any fan of the band. 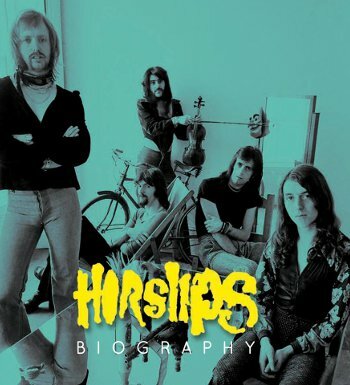 Featuring a detailed timeline of events, exclusive interviews and a wealth of memorabilia including original handwritten lyrics and session notes, Horslips: Tall Tales — The Official Biography is the first-ever book dedicated to the history of the band. Published to coincide with the 40th anniversary from the release of their classic concept album, The Táin, there are some great stories laced throughout and some fascinating photos to also flick through. 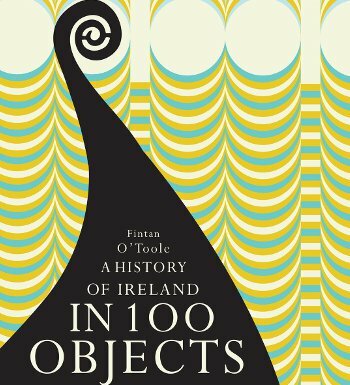 INSPIRED by last year’s BBC project on telling the world’s story through 100 objects, Irish Times journalist Fintan O’Toole delivers Ireland’s answer to that collection with this fantastic portrayal of items that help narrate a history of the island of Ireland. Items range from a silver tea urn taken from Georgian Dublin to an illuminated page from the Book of Kells. The book guides the reader through a set of objects which help us gain a more complex understanding of our nation’s past. Many of the objects in this collection are drawn from the National Museum of Ireland. The tome itself is a collection of articles which appeared weekly in the Irish Times and is published by the Royal Irish Academy. IRISH crime writing is booming at the moment with authors such as Jane Casey, John Connolly and Declan Hughes leading the pack. 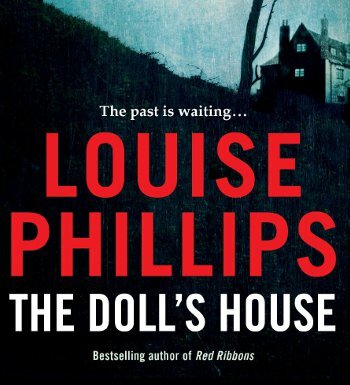 This year’s best crime read, however, came from Dubliner Louise Philips whose second crime novel The Doll’s House is a real page-turner. The novel centres on the death of Adrian Hamilton, a man whose demise 35 years earlier is still shrouded in mystery. In a bid to come to terms with her past, his daughter Clodagh visits a hypnotherapist which unleashes some disturbing childhood memories. Meanwhile, a criminal psychologist is called in to help with the investigation of a murder after a body is found in a Dublin canal. Philips’ book is laced with tension and gradually builds to a thrilling finale. What’s particularly great about the novel is the author’s fearlessness in delving into the darker recesses of the Irish capital. ASK any Roddy Doyle fan which of his myriad of characters rank among their favourites and the name Jimmy Rabbitte is likely to be near the top of the list. The character who invented the Commitments in the ’80s has been returned to Barrytown by Doyle to fine effect. In The Guts, Jimmy Rabbitte is now a 47-year-old family man who finds out he has bowel cancer. With death a very real and looming possibility, Jimmy starts to act on impulses he would normally suppress. 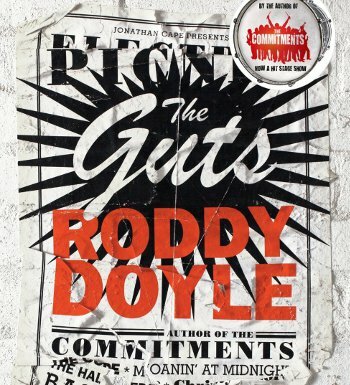 The music-loving hustler weaves his way about Dublin where he meets two of the Commitments — Outspan and Imelda Quirk. Before long he’s reunited with his long-lost brother and, among other things, learns to play the trumpet in what is a life-affirming and humorous return for Doyle. His book has just been named Novel of the Year at the Irish Book Awards. THERE’S nobody in Ireland who doesn’t know who Eamon Dunphy is. The broadcaster and journalist has been ever-present in Irish life for the past 25 years with his straight-talking opinion on matters from sport to politics not always valued, but always heard. When Dunphy speaks, people listen. All that makes volume one of his life story intriguing — and The Rocky Road is a fine memoir. Beginning with his early years, Dunphy takes readers up to the summer of 1990, when he was, for a short period at least, Ireland’s public enemy number one following the pundit’s robust criticism of Ireland at the 1990 World Cup in Italy. What we get in between are stories about his journey from his poverty-stricken rural home in Druncondra, through to joining Manchester United on-trial, his years with Millwall and his move into journalism. 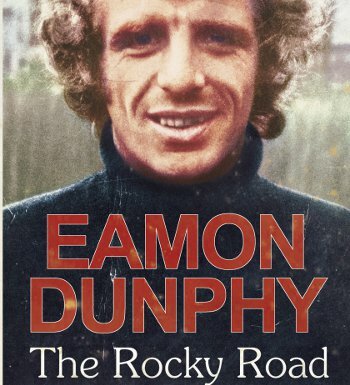 The book contains plenty of the energy and anger that made Dunphy one of the most significant media pundits of his age. 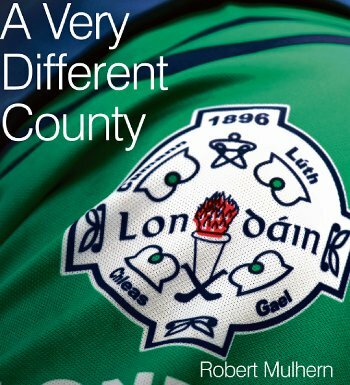 AFTER London’s history making run to a first ever Connacht final, Irish Post journalist Robert Mulhern delivers the story of Gaelic Games in London through the eyes of those involved. Featuring a foreword by legendary Tyrone manager Mickey Harte, these 12 chapters of personal accounts recall an All-Ireland hurling title in 1901, English born players of African origin and the Sam Maguire trophy on parade in Scotland Yard. The book also journeys back to the great London hurling team of 1973 which beat Galway in the All-Ireland quarter-final and fought hard against eventual champions Limerick in the semi, and discusses the London hurling manager and publican Ambrose Gordon who was taken to court by RTÉ to prevent him supplying pubs with pirated copies of The Sunday Game.